Fridges can get sticky, greasy, and yes, sometimes stinky, from all of the things we store in them. I prefer to use cleaners that will disinfect, deodorize and still be safe for food. 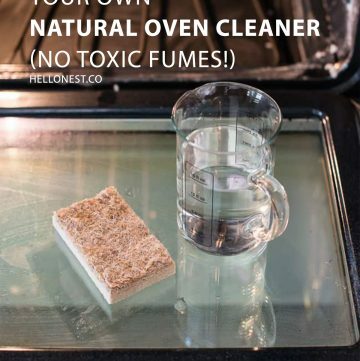 You definitely don’t want to be using toxic cleaners where you store your food! 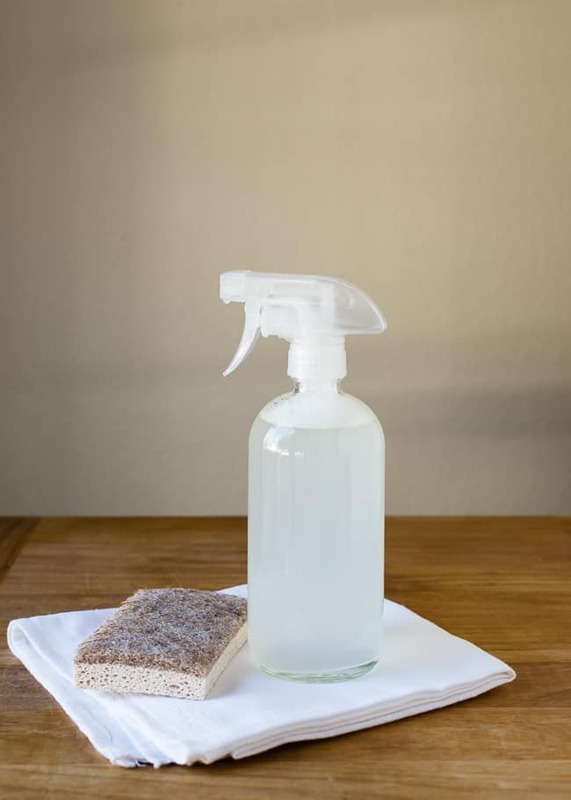 Whip this cleaner up, and then follow the directions below for doing a thorough clean and deodorizing. 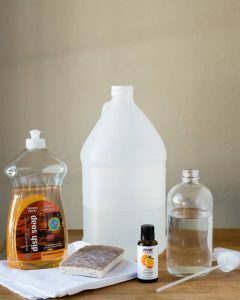 Pour vinegar into the bottle and add the dish soap and essential oil. Fill almost to the top with warm water. 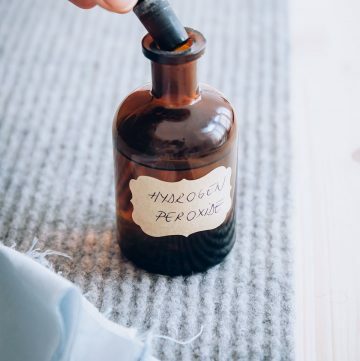 For tough sticky areas, saturate a cloth with the cleaning solution (see above) and squeeze a little of the excess from it, then let it sit on the area for a few minutes to loosen the stain. 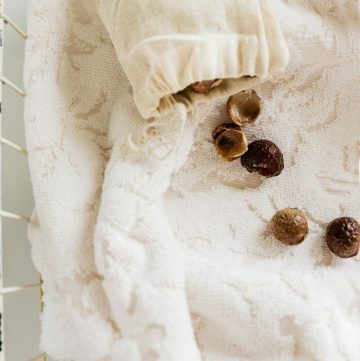 It should wipe right away.Hand-wash the drawers and any removable shelves with warm, soapy water. Dry well before putting back into the fridge. 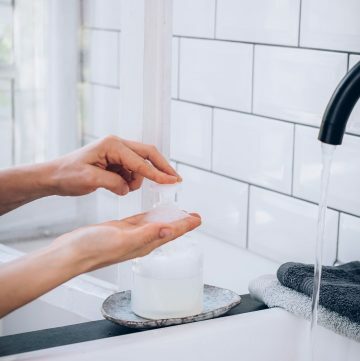 If you’re cleaning up spills from raw meat or poultry, wipe up the spill, then wash the area with hot water and disinfect with a spritz of hydrogen peroxide or full-strength white vinegar. Let stand for 5 minutes, then wipe dry. For the exterior, the same solution can be used as for the inside. 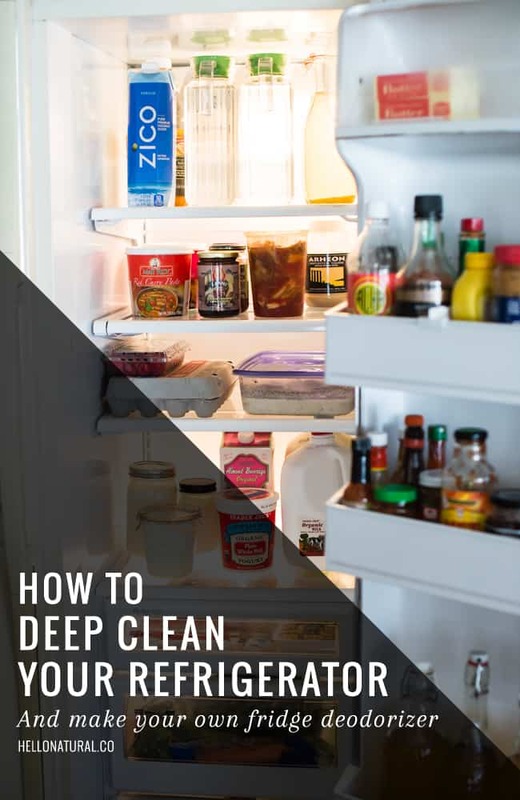 Remove the cover on the bottom of the fridge and clean well. 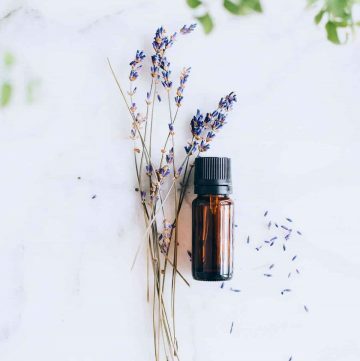 Cotton swabs and toothpicks are great for small areas that are difficult to wipe clean, like the seals around the door, or the handles. After you’ve cleaned out the fridge, removed any stinky culprits (check the crisper!) and cleaned/disinfected thoroughly, it’s time to make a super-easy fridge deodorizer to prevent future issues. P.S. You can save more time and money by knowing where to store things in the fridge and how to make veggies last longer! I love how you shared a green cleaning method to cleaning the fridge. Awesome! I don’t know if you have the “miracle cloths” (microfiber cloths) there or not – they’re great for using in place of paper towels and easily clean up with a dab of dish soap and a good rinse (helps keep the cleaning time down). What paper towels can I use to clean fridge that are non-toxic. Are microfiber cloths non-toxic for cleaning the fridge. I know many paper towels have chemicals in them. Would you use paper towels or microfiber cloths for this. Thank you. I will try your recipe for cleaner. Is this cleaning solution good for a stainless steel exterior, as well? Love the idea of natural fridge cleaner. 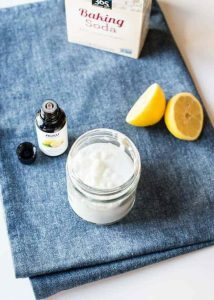 Now, bbye to chemical based cleaner as I am going to make these super-easy natural fridge cleaners specially fridge deodorizer. I think, I can use this deodorize for my wardrobe too to remove bad odor. What do you think?